The TomTom GO 910-EU 4.3-inch touchscreen portable GPS navigator brings all of the technological advancements together with ease of use and a sleek design to present a severely cool device. A 4.3-inch, extra-wide, touch-screen LCD display features anti-glare technology for easy viewing even in direct sunlight. As an added convenience, text-to-speech functionality provides you with actual street names. Advanced Lane Guidance uses photorealistic images to bring even more clarity to complex multi-lane exits so you can be more confident on the road. Additionally, the IQ Routes Technology calculates the fastest route possible, a great tool when running behind schedule. Displays compass on screen, for even better orientation. calculates position even when GPS signals are unavailable. includes new expanded map coverage, including the latest maps of the US, Mexico, Canada & Europe. Plan your route to fit your requirements, such as: quickest, shortest, avoiding toll roads and congestion charge areas, by required arrival time, etc. 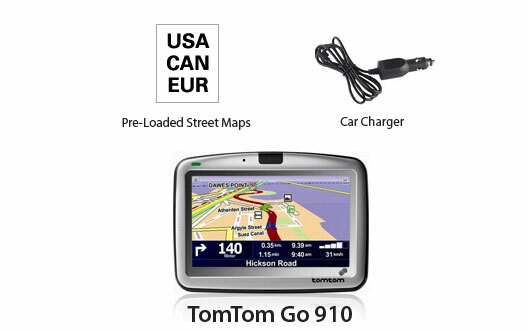 The TomTom GO 910 US and Europe Maps has many exciting features for users of all types. 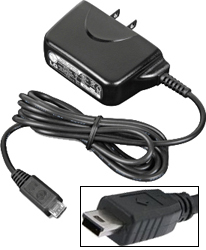 It's one of FactoryOutletStore's best selling Factory Serviced GPS. 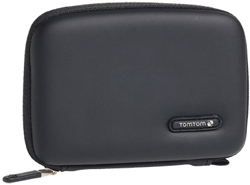 You can extend the lifetime of your TomTom GO 910 US and Europe Maps with the purchase of a FactoryOutletStore Factory Protection Plan. 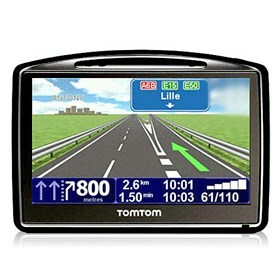 See the TomTom GO 910 US and Europe Maps gallery images above for more product views. 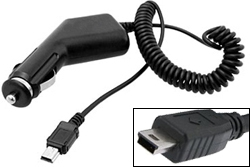 FactoryOutletStore stocks a full line of accessories like Car Charger, Case, and Convert Suction to Dash Mount for the TomTom GO 910 US and Europe Maps. Feel safe about your purchase of a Factory Serviced TomTom GO 910 US and Europe Maps, knowing its been fully tested by FactoryOutletStore.